Return to Books Gallery or Sales Gallery (all artists). A very noteworthy publication, recommended not only for Osaka print collectors, but anyone interested in Kansai printmaking (and painting!) in the Edo period. Highly unusual for a Japanese catalog, the photos are large and there is rather extensive English, including the introductory essay (by exhibition curator Kitagawa Hiroko), plus all captions and section-heading paragraphs. 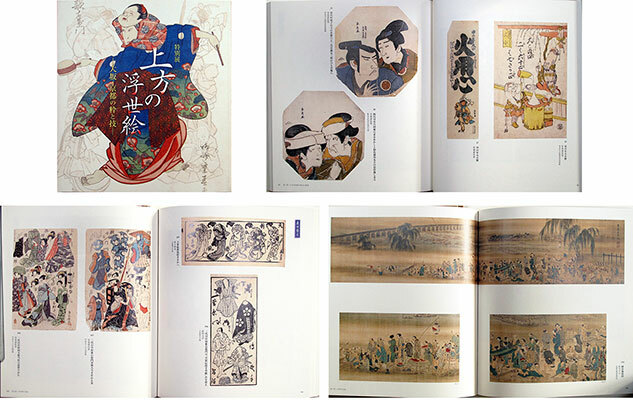 The exhibition was sourced from numerous collections all over Japan and features many rare and unusual images in addition to well-known designs.